Peninsula is a pet-friendly apartment community! We accept a maximum of 2 pets per apartment. Weight and breed restrictions apply. 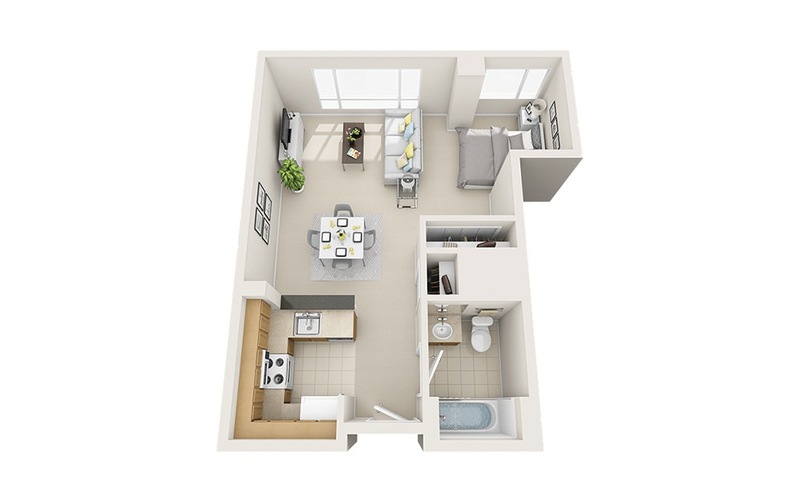 Studio | 1 Bath | 552 sq. ft.